Fitzkee's Contact Mind Reading is considered one of the best books on this subject. Contact mind reading, sometimes also called, "Muscle Reading" or "Hellstromism," offers you the ability to locate almost any object hidden by members of the audience - even while blindfolded! 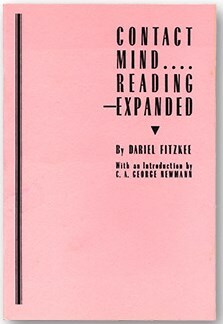 Dariel Fitzkee wrote the book on contact mind reading, literally! He was even selected as one of THE SPHINX's best books of the year. May be done anywhere, at a moment's notice, without special apparatus or preparation.